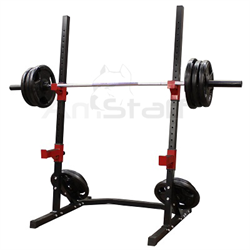 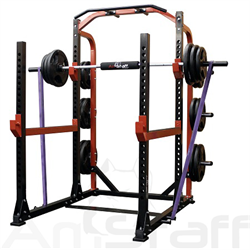 The AmStaff Power Rack is an extremely solid and effective unit and yet it is compact. 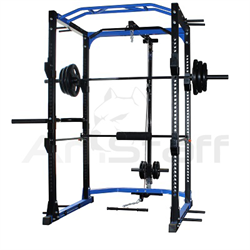 The AmStaff Power Rack is designed to fit into home while it is strong enough for a gym use. 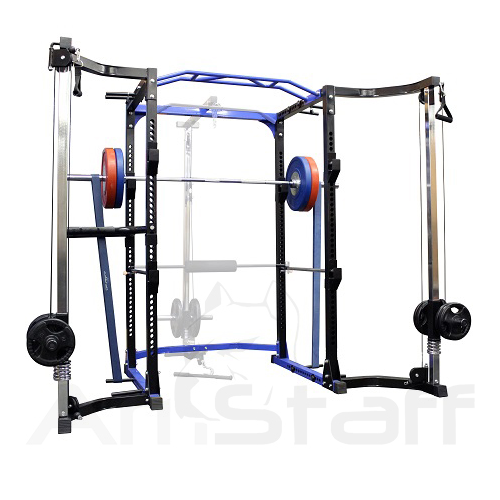 AmStaff Fitness comes with a 5 years structural warranty along with 1 year warranty on all the cables and pulleys. 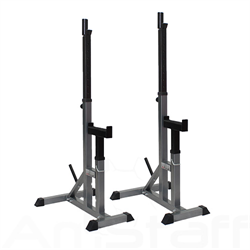 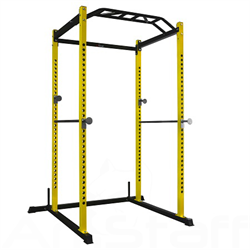 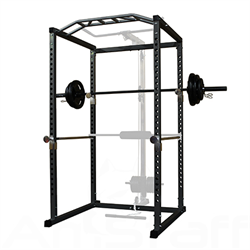 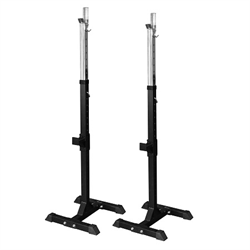 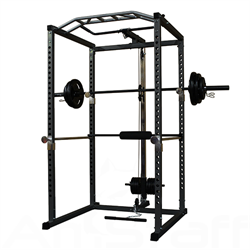 With the large amount of safety points as well as band pegs for positive and negative functional strength training, the AmStaff Power Rack offer large variety of the most effective free-weight exercises. 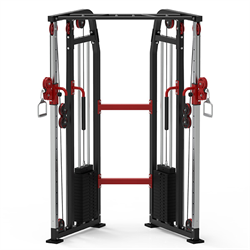 Combine this with the Cable Crossover attachments that is included for the ultimate workout in the comfort of your own home. 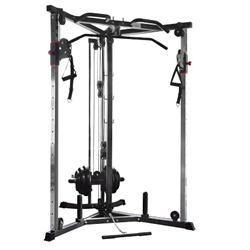 Although it can be used by three people at the same at is still very compact. 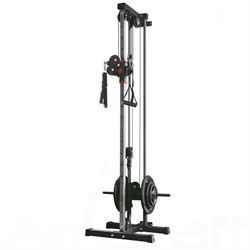 Use Strength Bands along with you AmStaff Power Rack to perform Negative and Positive exercises, assisted pull-ups, assisted dips, resisted push-ups, band weighted pull-ups, band weighted dips and many other exercises. 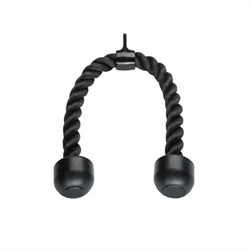 - Cable Crossover Attachment is included. 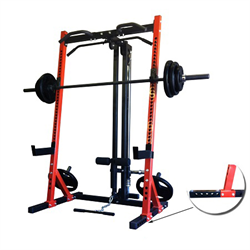 - Power Rack Accepts standard and Olympic size weight plates. 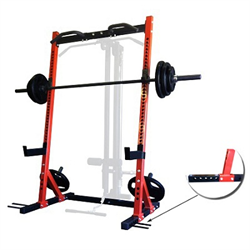 - 2” Grip Dip Bars are included. 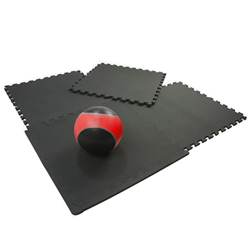 - Perform large variety of different exercises including coompund and band exercises! 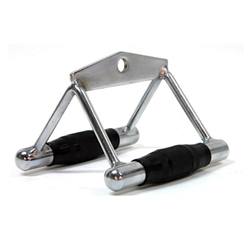 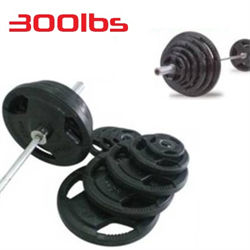 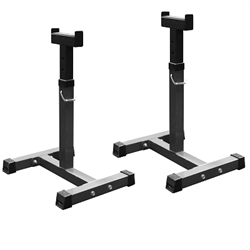 - Features fully adjustable Band Pegs for positive and negative exercises for the Ultimate Workout. 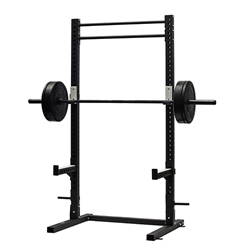 - Multi-Grip Chin Up Bar with deep knurling. 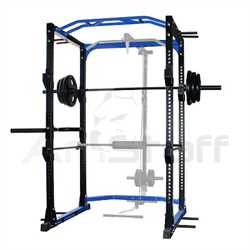 - Instructions provided for easy setup. 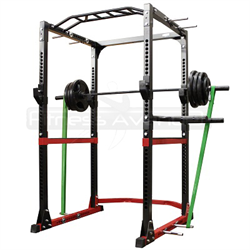 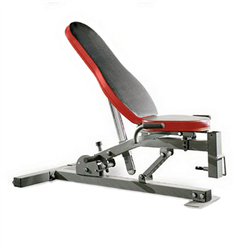 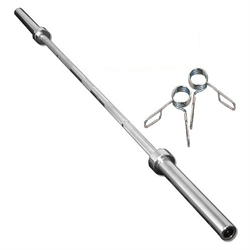 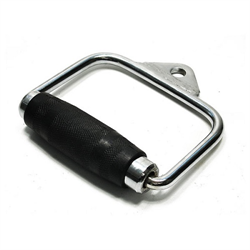 - Perform free-weight exercises knowing you are safe with heavy duty reliable safety bars. 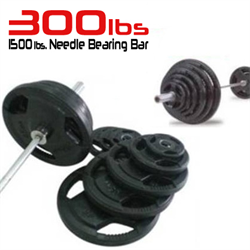 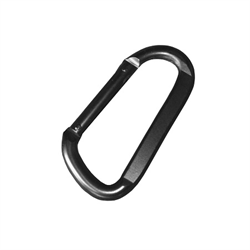 - Built to last high quality heavy-guage steel that supports even the toughest of workouts. 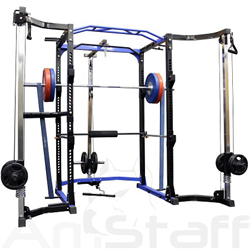 - Olympic Bar, Bands and weights are not included. 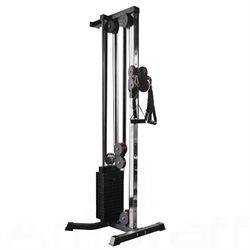 - Lat Pull Down Attachment is NOT included.